I left my heart in Taiwan. It was last year around September when I found myself in a tough position – a woman in the midst of transition, having constant battles between work and passion, daughter’s duties, a bit of an identity crisis, searching for answers about herself and her purpose. Days gone by faster than it used to and I just can’t seem to grasp the life I am living. Sorry, I hope I'm making sense. Then I stumble upon this picture. Surprise? For me, it's a lot like love at first sight. This led me to discover more about the country and I’m just amazed of how beautiful it is yet kept unnoticed. The day I saw that picture, I knew what I have to do - there’s no second thought - I need to GO. And so I did. Last March 2016, marked my first solo travel. Finally, after being frugal for months, compelling extra jobs, doing extensive research, saving not only money but the courage to ask for my parent’s permission to travel alone and countless prayers for my visa application - the rest is history and now I’m ready to share my story. So how to travel Taiwan without losing an arm? Here, I’ll show you my summary of expenses, some guides, tips and my experience. PS: Get ready! This is quite a long read. 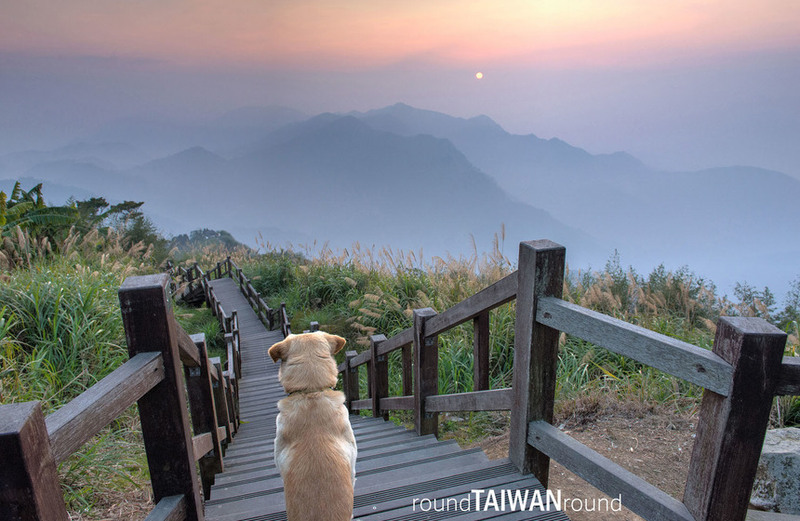 Taiwan brings a nice weather and typically presents an average temperature of 22°C (71.6°F) all year-round. There is no severe cold in winter and since the island is surrounded by water, breezes from the ocean have a cooling effect so it never feels too hot. Winter starts from late December to early-March with the lowest temperature to about 10°C (50°F). Spring starts from March to early May and the temperature is usually at 15°C (60°F) - 27°C (80°F). Summer. The hottest months are from June to August, the weather is typically hot and humid and temperature can reach up to 38°C (100°F) with occasional rains during plum rain season (May and June). Avoid the month of July to September as it is considered as the typhoon season. Autumn last from October to November and is slightly cooler usually at 20°C - 25°C. 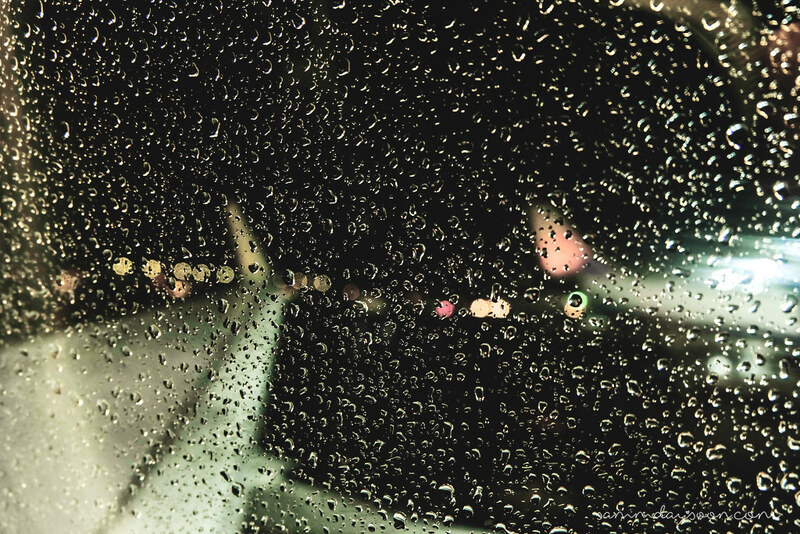 Generally, mid-October to early May is the best time to travel with regards to temperature and humidity. I stayed in Taiwan from March 6 to 15 for the cherry blossom season. The weather was perfect for the first 3 days, but it rained throughout my last 5 days in Taipei. Taiwan is just 2-hours away from Manila. Philippine Airlines, Cebu Pacific, Air Asia, EVA Air and China Airlines are among the air carriers that offers direct flights. There are four primary commercial airports in Taiwan but the large majority of visitors will arrive and leave from Taoyuan International Airport (TPE). This place also provides convenient transportation links to all over the island via city bus, long distance bus, HSR (High-Speed Rail), taxi service and soon a Taipei Metro (MRT). You can check this site for more information. Just to give you an idea where I spent my 10 amazing days in Taiwan, I made a separate post here, which includes my itinerary, some pictures from the travel and notes to help you plan your next trip. 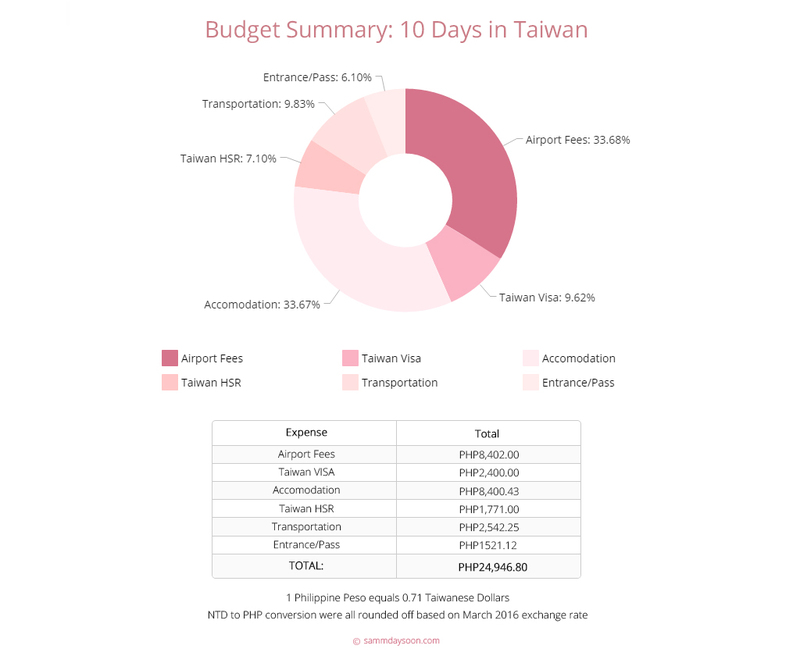 Budget summary for my 10 days solo trip in Taiwan. I did not include the expenses for food and souvenirs as they are quite subjective. But to sum it all, my trip cost PHP36,546.80 all-in. Still manageable isn't it? Ticket. I have been waiting for PISO fares and tracking airline sales as early as October to get the lowest fare possible, but since there are no guarantees about the promotions, I booked the flight at a discounted price 3 months before the trip and got my round-trip ticket from Cebu Pacific for PHP5541.61 all-in. Baggage Fee. I also availed 20-kilo baggage allowance for PHP1240.00. I actually used only 14 Kilos initially but since I’ll be traveling for 10 days in an end of winter to spring season where most of my clothes will consist of thick jackets and sweaters and so I can also provide a room for pasalubong (souvenirs); I purchased the 20KL. If you're going to spend a holiday for a shorter period of time, especially in the summer, I think a carry-on will do. Travel Tax. Here’s the most painful part of traveling to another country. All passengers departing from NAIA (for international flights only) are expected to pay PHP1620.00. I suggest that you pay before checking-in so you don’t have to go back at the check-in counter twice. As of 2016, the airport terminal fee is already included in the ticket price. All Philippine passport holders are required to secure a visa to travel to Taiwan. I applied for a Single Entry Tourist Visa two weeks before my flight and was granted a maximum stay of 14 Days. I won’t talk much about the general info as it is clearly explained here. Also, please take note that I didn’t hire a travel agent to process my application. Here’s how I got mine. For married, a marriage certificate is also required. And here are the supporting documents that I also prepared. This is quite a long list, but later on, I’ll tell which one the consul collected. Note: All original documents submitted along with the application should be accompanied with photocopies each. Please don’t forget about this. Once you have gathered all your requirements, head to Taipei Economic and Cultural Office (TECO) to process your application. The schedule is from Monday to Friday at 8:45 AM to 11:45 AM only, so make sure to come early. The receptionist instructed me to go on the 4th Floor and wait for the TECO officers to get my cue number. I got #10 and then proceed back to the lobby for the actual application number. Note: You need to show a valid ID, if not, then prepare PHP1000.00 (don’t worry, you can have it back once you’re done). Then quickly proceed to the 41st Floor and wait for your turn. It only took me 5 minutes to submit my application. And out of all the 13 documents I gave, the consul only took 6 of them. These are Visa Application Form, Passport, 2 Passport Photos, Birth Certificate, Bank Certificate and Certificate of Employment. I was a bit nervous and confuse that time, but I’m glad it ended well. The consul will soon call your name and ask for the payment at counter 6. Processing usually takes 3 working days but expediting is possible, for a fee. Expediting Fees (1 working day processing), to be paid on top of above-mentioned fees. The schedule is from Monday to Friday at 1:45 PM - 4:45 PM, same with the application process, you need to head to the lobby, show your valid ID and payment receipt in exchange for the number. I got #10 again (maybe this was a sign that I’m going to spend 10 days in Taiwan - crossed fingers). Head to the 41st floor, wait for your turn, claim your passport hopefully with approved visa and exit with a smile. Do I need to book a flight and accommodation before I apply for a Visa? No. As you can see they didn’t even get the copies of my tickets and vouchers, but if you can, then that’s good too. For me, it’s better to be prepared than regret later. That time I really like to get approved (who else don’t?). Everything about the trip is planned and half paid except for the Visa, imagine if I got denied, that would be heartbreaking. However, you need to have at least one address in Taiwan for your Visa application form, if you have relatives there, then just ask for their address, if not I believe Agoda has Book and Pay Later option. You can try this one and if you change your mind then just cancel it. This is a bit personal and subjective. I read from other blogs and forums that even if you have a bunch of money on your account and failed to give them the documents above, then you’ll get denied while some say that if you're only traveling for 4 days and less and you manage to give the requirements they need, then 10K is enough; so there is really no answer for this. But to give you a hint, I used this source from lonely planet to calculate the money I needed. I just multiplied the amount of daily cost (I used the top end category, though I'm a budget traveler) to 10 (number of days I'm staying). Update: Good news! Starting September 2016, qualified Philippine passport holders may now visit Taiwan for up to 30 days without a visa, according to new rules set by the Taiwanese government. Filipinos who have either a residence/permanent residence card, valid visa, or an expired residence card or visa that is less than 10 years old, issued by certain countries, can enter the country visa-free.The countries included in the list are Australia, Canada, Japan, Korea, New Zealand, any of the Schengen countries, the United Kingdom, or the United States. For more info, check the TECO website here. Most of my money was spent for my accommodation but I assure you that all those places I stayed are the cheapest and the best option I could get that time. Taiwan offers wide selections for lodging; a single hotel room can range from NT$1500 - NT$5000 per night. But those on a tight budget, especially for solo travelers like me, hostels are recommended; you can also try Couchsurfing for free boarding. I observe that room prices vary from locations in Taiwan. Rates are more expensive in remote areas or places far from the city. For example: spending 1 night in a single room in Alishan County equates to 5 nights stay in a hostel in Taipei. So be sure to plan your itinerary well, get the most deal you could get and decide where you really want to visit and stay. I scored a deal of NT$380 per night in a hostel in Taipei and I tell you, the place is clean, safe, got everything I need and it's just 5 minutes walk to the MRT. Please take note that the above prices are subject to change. I booked my accommodations for Cingjing and Sunmoon Lake through Agoda's Book now and Pay later option at a discounted price 3 months before the trip and the other 2 through PayPal and cash-upon-arrival. 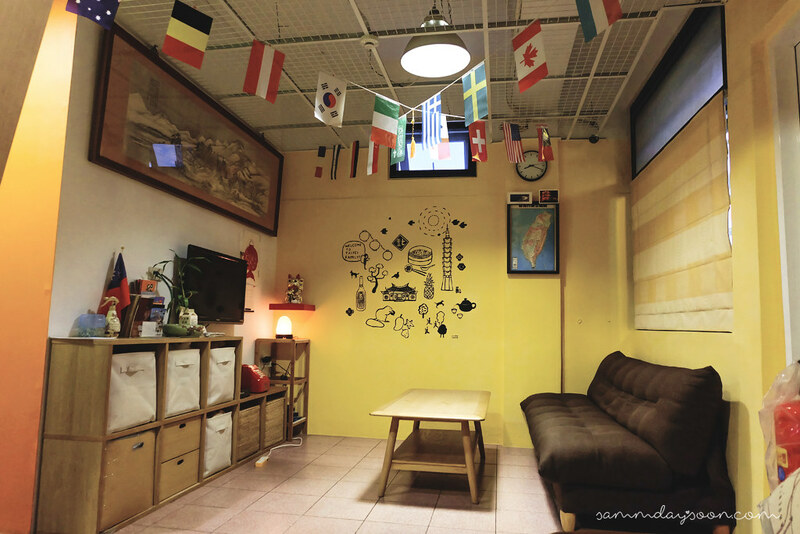 I just converted the price for Taipei Family Hostel into peso from original NT$1900. Taiwan is relatively a small island and getting to and from a different location is easy and pretty organized. You may want to consider purchasing Easycard before getting around. This will allow you to conveniently ride the Taipei MRT and bus systems without the hassle. 7Eleven, Family Mart and other convenience stores and supermarkets also accept Easycard for payment. Travel like a local and avoid taxis if you could, using the public transport can help you save a lot and you get to have more experience. HSR (High-Speed Railway). A bit pricey, but the quickest and most convenient; you can go from north to south or vice versa for an hour or two! I booked my ticket one week before my trip and used HSR twice: Taoyuan to Taichung and then Chiayi back to Taipei. Tip: If you already decided about your itinerary and sure about the time and date of your travel, you can try the Early Bird Booking. This allows you to book a reservation seat 5 to 28 days prior to the date you want with a discounted price of as much as 35% of the original fare. Total Price: NT$1210 instead of NT$1620. I was able to save NT$410! Paid online through VISA Debit. Payment must be given 3 days after the reservation and no refund will be made after the train departure. I always allow 30 to 45-minute allowance for my bookings just in case I failed to arrive on time. If you happen to miss your scheduled train, don’t worry, you can head to the ticket counters and change it for the next available, but you have to pay the remaining of the original price and you will be assigned to non-reserve seats. You can check this site for more info. Note: Make sure to bring a print or digital version of the booking as a reference. Show them on the available counter so they can exchange it for the actual ticket. You can also use the machines if you don’t want to line up. Try also to reach the platform 5 to 10 minutes before the schedule to avoid the hassle. Bus. Taiwan’s public transit system is extremely well developed and punctual. Most buses are bilingual - in Chinese and English; that little talking red LED screen you will see in front is your friend. You can use Easycard or pay manually (just make sure you prepare plenty of coins since most drivers won’t be able to give you change). Keep your bus ticket for inspection. Taipei MRT. Three words – Fast, Convenient and Clean. 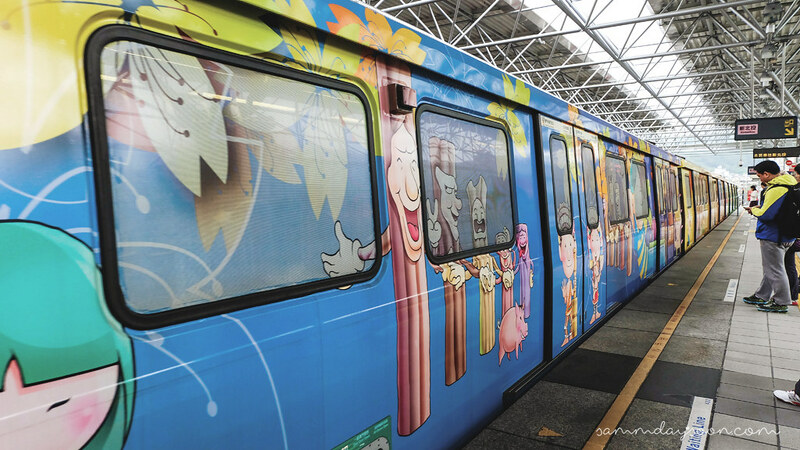 Getting to Taipei’s best destinations can easily be accessed through the subway system. There are 5 lines by color name: Brown, Red, Green, Orange and Blue. The signs are both written in Chinese and English, so fret not, at first the Taipei Metro map can be a little confusing, but after a day it gets much easier. You can pay through Easycard or Taipei Pass, which offers 1-Day, 2-Day, 3-Day and 5-Day unlimited ride along the Taipei MRT and selected buses. Here's the breakdown of fees for my major transportation. I did not book any of these so everything was paid in Taiwan Dollars (NT$). The above prices are valid last March 2016 but may, subject to change anytime. If you're going to Cingjing, Sun moon lake, Alishan or vice versa, then you might want to check this site. As for the Easycard, I was not able to get one until I got to Taipei so most of my fares for the first 5 days were paid manually. There are plenty of good places in Taiwan that you can access for FREE like Chiang Kai Shek Memorial Hall and the changing of the guards, Lungshan Temple, Tian Yuan Temple, areas around Tamsui, Jiufen, Cien Pagoda, Wenwu Temple and much more. 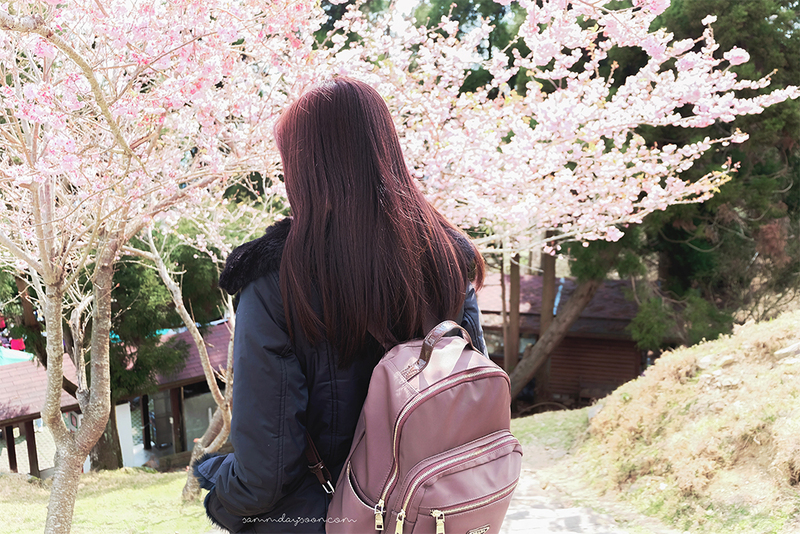 I spent NT$1080 in chasing cherry blossoms - yes, literally. But though a thousand dollars might sound like a lot of money or maybe not-so-budget-friendly, I never regret any of my decisions. Tip: Apply for Youth Travel Card. This is available for ages 15-30 and provides discounts for scenic spots, transportation, accommodation, delicacy expenses and shopping. I only paid NT$150 instead of the regular NT$250 in my admission ticket to National Palace Museum by presenting the youth travel card. Green Green Grassland Cingjing NT$200 The pink pastel Sakura's are here. Enjoy Sheep Sheering Show on Saturdays and Sundays (9:30 and 14:30) and Horse show (10:45 and 15:45). Present your youth travel card and pay only NT$100! 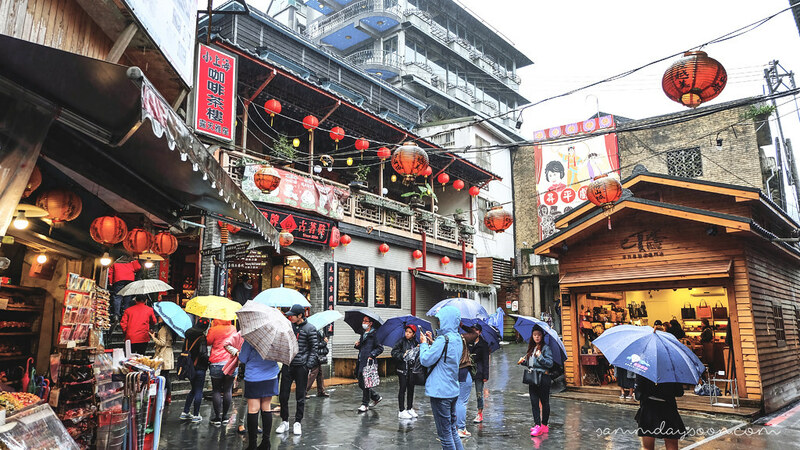 Formosan Aboriginal Culture Village SML NT$580 This massive place host the largest Cherry Blossom Festival in Taiwan (Jan 31th to Mar 15th), enjoy a discount of NT$200 from the original price of NT$780 inclusive of Sun moon Lake Ropeway ride (round trip). Alishan National Scenic Area Alishan NT$150 Dress comfortably with a pair of good sneakers (you've been warned). You may want to side trip at Fenqihu or drive along Xiding and climb the Eryanping Trail - a must! National Palace Museum Taipei NT$150 Two words- "come early" as this place gets packed easily. Don't forget to visit Zhishan Garden for FREE. Youth Travel card holders only pay NT$150 instead of NT$250. Again, prices are subject to change without prior notice. Honestly, I didn’t worry or plan about the food, Taiwan is quoted as a food paradise by most travelers. I plotted my whole itinerary in such a way that most, if not all of my expenses must be paid before my trip and the money I'll bring will be solely devoted to food and souvenirs. Taiwan is famous for night markets; in fact, there are 31 in Taipei alone. This country also holds the record of the world’s highest density of convenience stores, so don’t be surprised if you find 7 Eleven on each corner. Eat local; you didn't go overseas just to eat your usual, right? The food is not super cheap, but fair enough and for a budget traveler, NT$300 - NT$400 will let you live in a day. Same goes with the souvenirs, you can find cheap but good items in night markets too. Tip: Taiwan offers a great variety of foods and I think they are very creative in this field. But because I’m a solo traveler, I wasn’t able to try all the dishes I like not because of the price but because I get easily full. So next time you go to Taiwan’s night markets, grab a friend or a fellow solo traveler you met at the hostel. Just bring someone, you can taste lots of food, it’s cheaper (if you divide the cost) and it’s a great way to bond too. I lost count of how many times I battle with cold in Taiwan especially in Alishan and Taipei when the low temperature was mixed up with drizzles. My body is not just used to it, I say - well, I live in a tropical country, and here, it's always summer. So every day before the trip, checking weather forecast is on my to-do list. I am also aware that spring in Taiwan is usually at 15°C - 27°C so I prepare - a lot. But I was wrong (or maybe google was wrong?). In Alishan, the temperature dropped to 13°C and in Taipei, a freezing 11°C haunted me for two days. Also, weather in Taiwan is erratic, good thing I brought flexible clothing. You can start with a shirt and a trouser then add some jacket or a coat; you can also put a scarf and a bonnet when it gets bitterly cold - to put it simply, dress in layers. And also, try to pack light to avoid additional baggage fees, only bring what you need and leave the "just incase" mind-set back home (#notetoself). So, if you're someone who dresses for comfort more than style, then you might want to check this list. 1. Scarf. I always bring a scarf every time I travel. You can use it to protect yourself from cold weather or excessive sun, an instant blanket for long flights and bus rides or whether you just want to add some edge to your #ootd, a scarf is your best friend (1-2 is good). 2. Bonnet or hat. You can cross this out from your list but you might consider if you're going for trails and mountains. And besides, hats are good in photos too. 3. Sneakers or Flats or Boots. Leave your heels at home and bring comfortable shoes since there will be a lot walking for sure. Keep it to a maximum of two pairs, wear the first one (the heavier) and put the other (the lighter) in your luggage. 4. Backpack or Sling bag or Cross bag. Choose any of your likings as long as you're comfortable with it but just bring one. This will be your on-the-go / carry-on bag for your day to day travels. 5. Undies. I don't think I need to explain this further. Just don't forget them and use liners to keep you fresh. 6. Shirts or Blouses. Simple, comfortable shirts that you can easily pair up with your trousers and jackets. 7. Sweater or Turtlenecks. Warmer than shirts. Light sweaters are the best sleep wears. 8. Hoodies or Cardigans. For slightly cold weather, just bring one. 9. Coats or Parkas. For extreme cold weather. Stylish too yet bulky. You can carry them on your flights so you don't have to worry about putting them on the luggage. Strictly bring one. 10. Jeans or Leggings or Joggers. A must since many temples will forbid the entry of women wearing skirts. You can add some to the list above, but keep it to a minimum. Roll your shirts and trousers to lessen wrinkles; put them in packing cubes to save space and to make it more organize. Also, don't forget to bring zip lock plastic bags for your used clothes. I never got the chance to ask for someone to take my picture during my stay in Taiwan except when a childhood friend accompanied me in Taipei for a day. I also don't fancy those selfie sticks so I don't have them. What I have is a lightweight tripod which I carried half of the trip (not so light for 1 kg), a camera (I recently bought for the trip) and a phone which I seldom used. I'm really shy when it comes to pictures and just the thought that people might look at me or these might catch someone's attention is terrifying. So for those 10 days I took some baby steps to live out of my shell, telling myself that it's okay, these people don't know me, nor they don't know where I came from so as long as I'm not doing something bad or disturbing then it's fine. I know for some, this may sound weird, but for me, it's a real challenge and I'm just happy about the results. Lesson learned: it’s neither about the gear nor your expertise. Just put your heart in everything you do (whether photography or not), capture everything that interest you. I don't know how to speak mandarin - probably one of the major drawbacks why some don't travel here. I am quite aware that English is not widely spoken and probably in smaller towns it would be more difficult. But Taiwan is very safe and friendly country. All the people I encountered are extremely thoughtful, they will always try their hardest even if took them much of their time just to point you to your direction or find someone who can help you better. With all honesty, I'm only fluent on three phrases: Hello! (Ni-Hao), Thank You! (Xie Xie) and How much? (Duoshao) - and that's all I need to survive. I remember one time when a local friend refuses to help me order a chicken popcorn in Raohe Night Market just so he can see if I will be able to do it – well it ended up with a confused face and pure amazement. Most of the time I use hand gestures and body languages. Some Taiwanese uses their phones - connect it to WIFI - talk near the speakers and just let google translates it for me; too overwhelming actually. Most of the signs are written in English and Visitor Information Centers are widely spread in the country; subway personnel's are proficient in English too! So if you ask whether there's a language barrier in Taiwan, I would dare say no. There's always a struggle, but you'll be amazed how much you can communicate without a common language. My whole stay in Taiwan felt like I’m in a mega-theater listening to a foreign indie song - a music that isn't familiar, a bit chaotic yet still beautiful. • Head back to your hotel or guesthouse before 5:00 PM - especially if you're traveling in a place far from the city. Most buses here schedule their last trips at 5:00 PM to 5:30 PM, also nights are longer than days on cold seasons so it easily gets dark. Unless you want to hire a cab (expensive) or spend your night freezing outside, you might want to consider this. • Batteries discharge more quickly on cold weather so make sure to pack a power-bank, extra batteries and don't forget your chargers. • Where to exchange money? Taiwan does not have private money changers. You can either change your money at the airport or visit a major bank branch. Drawing from an ATM is a good idea if you don't like to bring cash. Plus and Cirrus are both easy to find there according to some local forums. I don't want to change my money twice, meaning from PHP - USD - TWD so I already bought all the Taiwan Dollars I need before the trip. • Weather in Taiwan is unpredictable and sometimes your most trusted apps and sites might seem unreliable. There are occasional rains and drizzles particularly on mountainous areas and it can start pouring at any time of the day. Always add an umbrella or raincoat on your day-pack. • I got skin allergies in Taiwan due to severe cold. My skin reacts in a negative way that it becomes dry and itchy, leaving red patches to different parts of my body. Drink plenty of water and feed your skin with moisturizers and lotion to avoid this. • Stores in small towns close early too (unless you find 7 Eleven stores) so buy your food and all the stuff you need ahead of time. 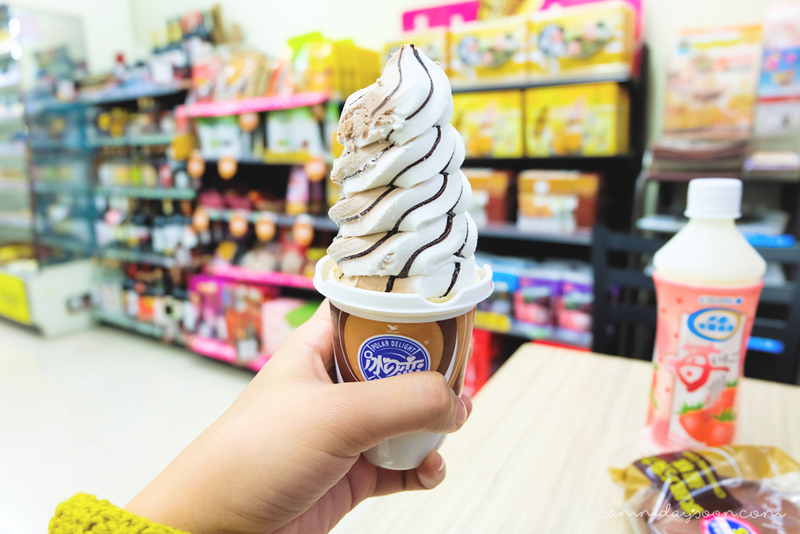 • Speaking of, 7 Eleven here is awesome. Seriously, everything you need is just a corner away. You'll be surprised with the items and services this store can offer, your receipt can be a lottery ticket and there's free WIFI too. If you're not convinced yet, here's the proof. • Travelers can get a free WIFI 24/7 in Taiwan. How? You just need to register here. I wasn't able to complete the last step so I only relied on my accommodations for 10 days. You can also apply for prepaid SIM Cards but remember to bring two valid ID's. • Get a copy of the Taipei Subway System map on your phone. As long as you know how to get into one of this station, you're safe. • Save a backup of your important documents (passport, tickets..etc.) on  Online (Google Drive, Dropbox..)  Phone and  Two sets of hard copies, one for your carry-on and leave the other in your luggage for worst case scenarios. • Stay connected - with your family and love ones back home. Try to update them on your whereabouts or where you're heading next. Don't make them worry. Okay? • Taiwan the Heart of Asia - everything you need to know about Taiwan. • Central Weather Bureau - if you want to track the current weather and forecast; don't forget to download their app. 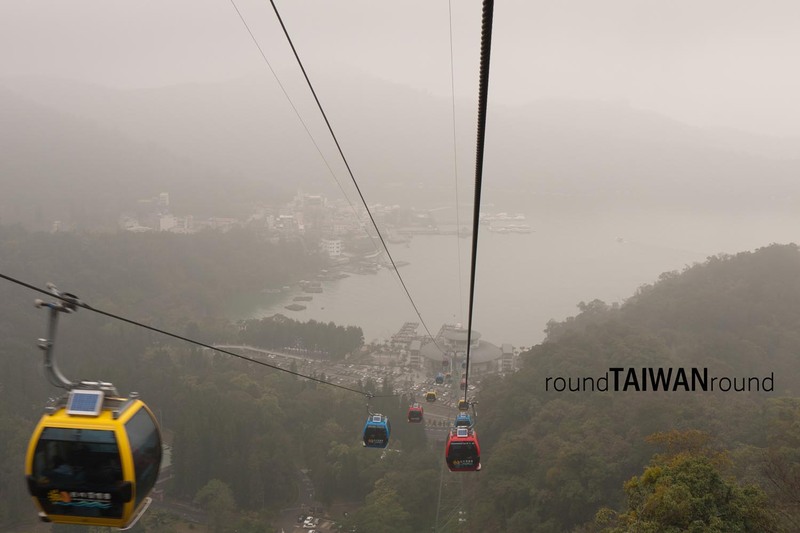 • RoundTaiwan Round - this site offers affordable tours around the island. Even if you don't plan to book a package, I'm sure you'll find this site beneficial; plus amazing photos too. 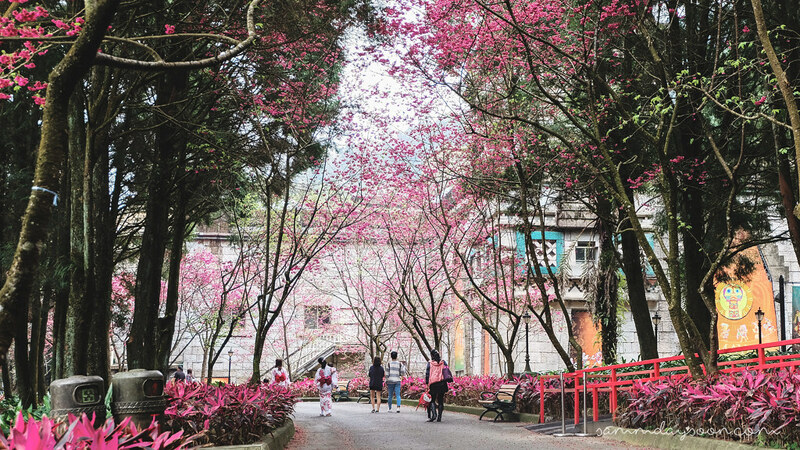 • Travel King: Flower Viewing Season - one of the many reasons why I love Taiwan is that the land is blessed with different kinds of flower all year-round. If you want to know more about Taiwan Flower Season, then this is for you. 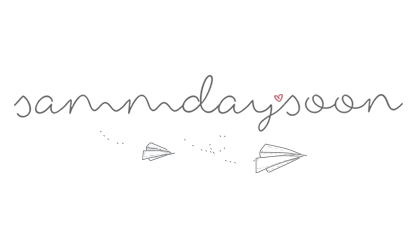 • Ink + Adventure - a blog by Jamie, an American Expat living in Taipei. I think no one can give better tips and opinions than anyone living there, right? 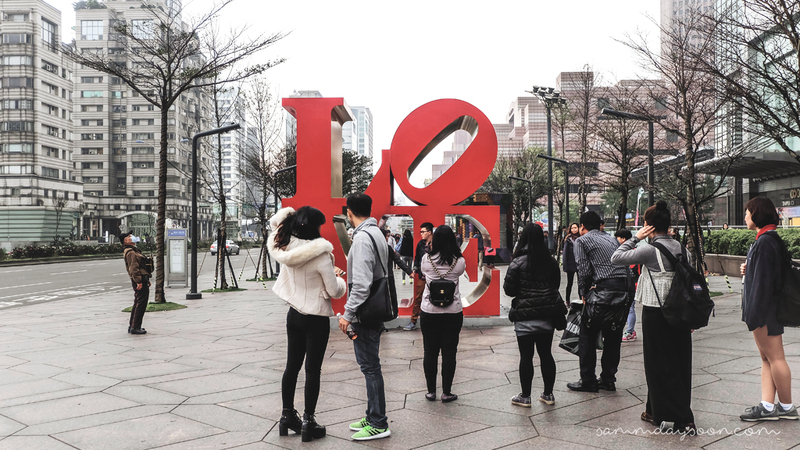 • Taipei Trends - I find this site interesting and up-to-date as they deal with the country's trends and some off-the-beaten paths. 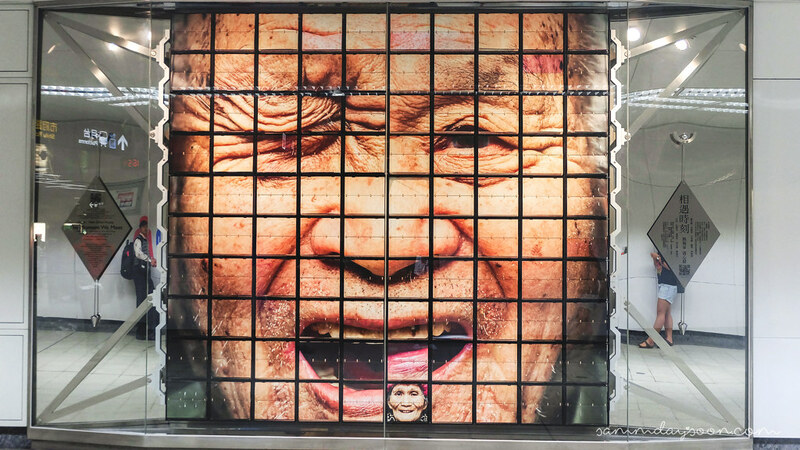 Read: 10 Things not to do in Taipei. It took me half-a-year to finally compose myself into writing this post and pondered countless times whether I should continue or not, because, in all honesty, I want to keep this place a secret, sorry. But the experience I had in Taiwan is just too profound and refusing to share it will be as futile as holding my breath – I need to let it out. Spending 10 days alone in a foreign country awakened the answer that lies in deep slumber for a long period of time and led me closer to the truth of who I am. You know, to finally figure out something you’re very sure of that you‘ll be willing to jump with both feet no matter what – for me, it’s traveling. From my first solo flight, to first cherry blossom experience, ended up walking for two hours in Sun Moon Lake because I was too shy and stubborn to rent a bike, to first milk tea (I know, I know..), sleeping in a mixed dorm and a lot more - I’m just glad it all happened first in Taiwan. Surely I didn’t find all the answers to this complicated self, but what I got is more than I could chew. Boxes of pineapple and blueberry cake, the heavenly nougat, and treats from a friend, two dozen of cute little cat key chains, tons of joy and a pinch of homesickness, priceless memories, and experiences, and an instant tattoo from the skin allergy, a scar on my left thigh – which I love. I can’t stress enough how much I love the country and to do it solo. It may be daunting at first, but eventually, you’ll realize that you’re not doing this alone. I’ve met some kind and beautiful souls and it’s the best part of my journey. However, no matter how much I want others to experience what I felt in my travel, I will not force anyone to do it, but please, let your heart find what it yearns for. The answers to our deepest questions lie beneath our true selves, we just don’t figure it out yet or sometimes we refuse it - do yourself a favor and answer that call. And I just can’t wait to go back, to travel again to the first country I love and to retrieve what I left...soon. There you have it. I hope you find this post useful. I’m not an expert on Taiwan and just speak through the experiences I learned from the trip. 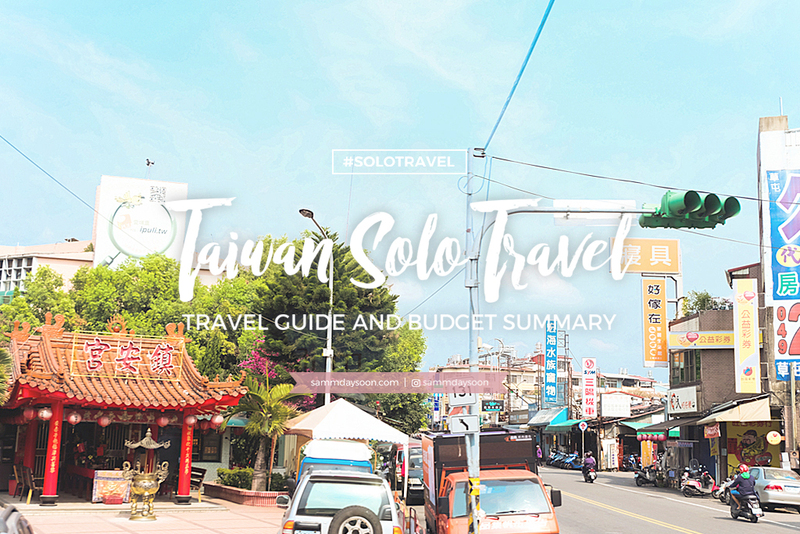 If you find yourself traveling through Taiwan and stumble upon this blog, please drop me a line on the comment section below or just say hello. I’ll be glad to hear stories from you. Thanks a lot for stopping by. 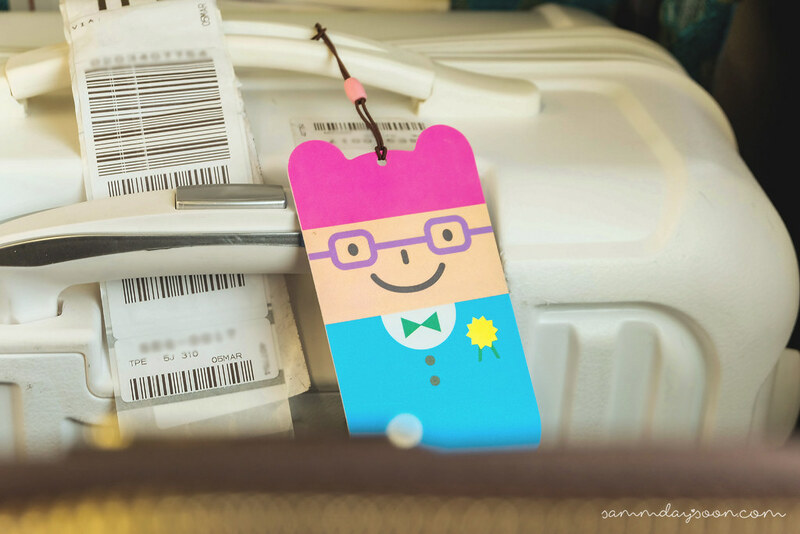 Have a fun and memorable trip in Taiwan!